I wrote that off the top of my head just now, clearly in a spout of yuletide Seussian inspiration. 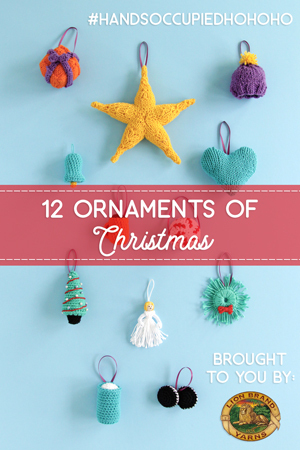 :) Yes, Christmastime is here, and so is 12 ornaments of Christmas volume two! 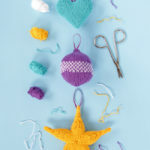 Last year I found myself really inspired out of nowhere to design some holiday ornaments using a pack of Lion Brand Yarn’s Bonbons yarn in Beach. Not only is the Beach color palette summery, the yarns in this pack are cotton. Warm oranges and purples aren’t what we usually associate with winter or holiday crafting, but the sweet ornaments that resulted couldn’t have been more perfect to brighten up last year’s tree. This year, I wanted to take it another step further, again using cotton and nontraditional colors. 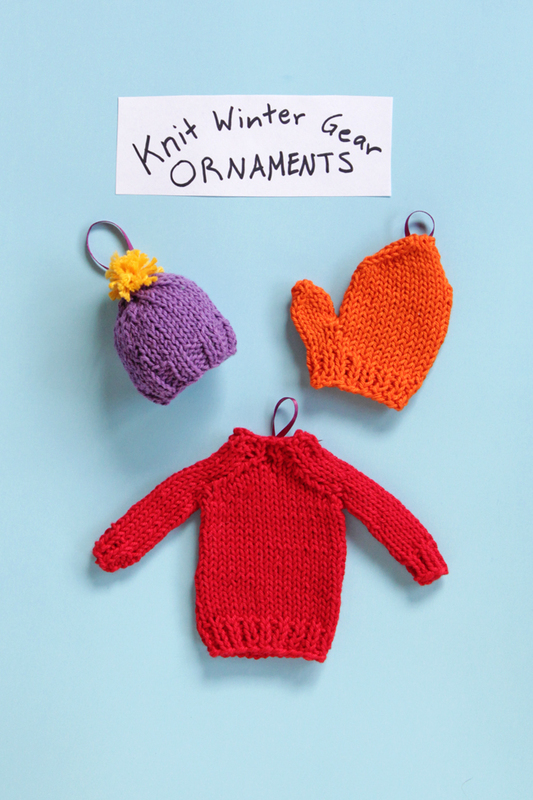 This go around, we’ll have four rounds of three delightful patterns knit or crochet around a specific theme for you to make and enjoy. 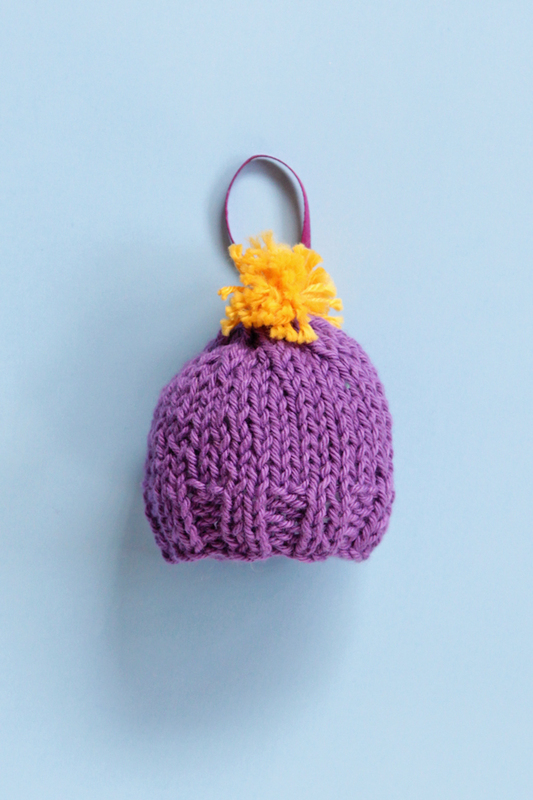 Today, let’s tackle winter gear-inspired knit ornaments! PS: Next week will be all about the sweets, so keep your eyes peeled for some more adorableness. 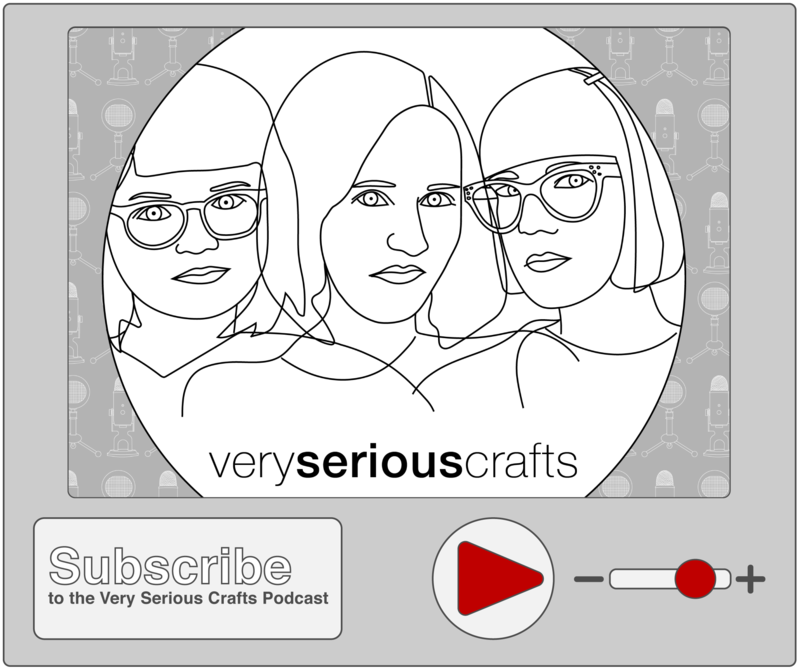 ;) And if you’ve had some of last year’s ornaments in your queue or work on any of the new patterns, don’t forget to play along with #handsoccupiedhohoho on Instagram. 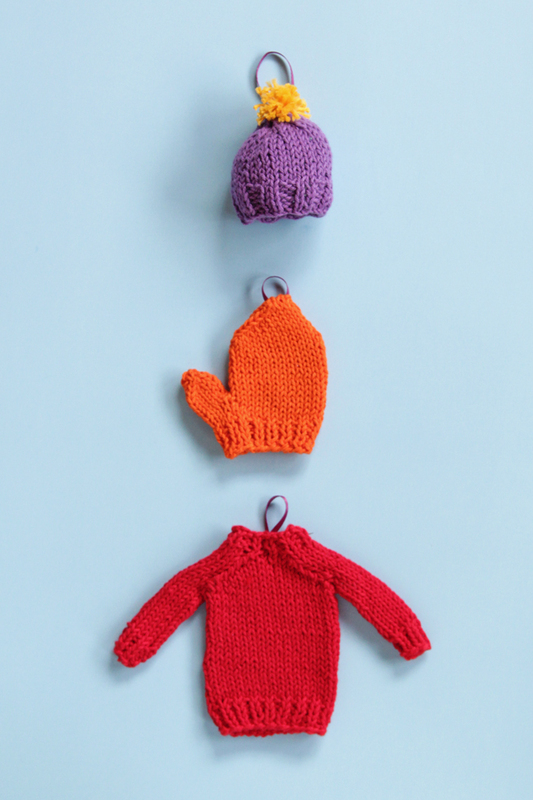 Get an inexpensive, printable, ad-free PDF of the mitten pattern here and sweater here, or you can continue scrolling to see each pattern now. 1 pack Lion Brand Yarn Bonbons in Beach, which comes with 8 mini skeins. 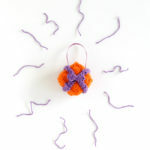 – You need less than a skein of orange to complete the ornament. kitchener stitch – a seaming technique used to graft live sts together. Here is a tutorial. Gauge & dimensions: 22 sts & 28 rows over 4 inches, knit in stockinette stitch. Laid flat, the mitten measures approximately: 4” in circumference & 3.25” from cast on to bind off. 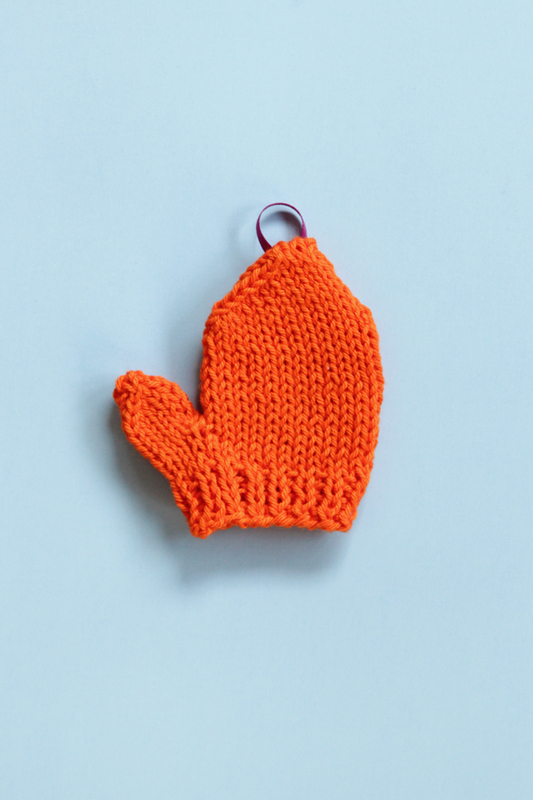 Looking for a printer-friendly version of this mitten pattern? Grab an inexpensive, ad-free PDF of this pattern right here. CO 30 sts and join into rnd. rnds 1-4. *k1, p1; rep from * 15 times. Arrange remaining sts evenly on two needles. BO using the kitchener stitch. Worked on sts from holder. Rnd begins on outside of thumb, centered. Weave in all ends. Sew the gap between the thumb sts and body of the mitten closed. 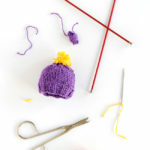 Get the free mini knit stocking hat pattern here. 2 packs Lion Brand Yarn Bonbons in Beach, each of which comes with 8 mini skeins. 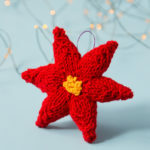 – You need 2 skeins of red to complete the ornament. Gauge & dimensions: 22 sts & 28 rows over 4 inches, knit in stockinette stitch. Laid flat, the sweater measures approximately: 2.75 inches across the body, 4.25 inches from neck to hem of sweater, & each sleeve is 4 inches in length from neck to sleeve hem. Looking for a printer-friendly version of this sweater pattern? Grab an inexpensive, ad-free PDF of this pattern right here. rnds 1-4. *k1, p1; rep from * 16 times. Transfer sweater body to a holder or another set of DPNs. rnds 1-4. *k1, p1; rep from * 5 times. 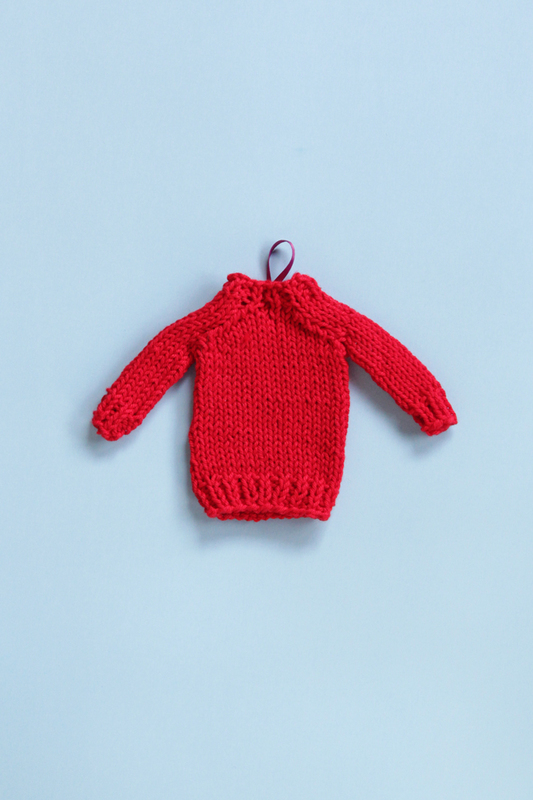 After each sleeve is knitted, place next to sweater body on holder or DPNs. Place 2 sts from each sleeve and 2 sts per sweater side on safety pins or scrap yarn (4 sts per armpit, 8 sts total will be on holders). You will now be working with 44 sts. Distribute sts evenly 4 DPNs (11 sts per needle) before beginning. For the following, each rnd begins at outside edge of the right sleeve. rnds 8-9. *k1, p1; rep from * 10 times. Use the kitchener stitch or a three needle bind off to close the underarm holes. Weave in all ends. Using a needle & thread, sew a scrap of ribbon to the back of your finished ornament to hang. Thanks heaps for these great patterns that I could do through the year as gifts for Christmas. Merry Christmas to you from Cheryl Ashton in Wellington New Zealand.